I have noticed my Windows 7 Boot Screen is slower. It usually boots into the login screen in about 3 seconds? Now I see the windows graphics for longer now. 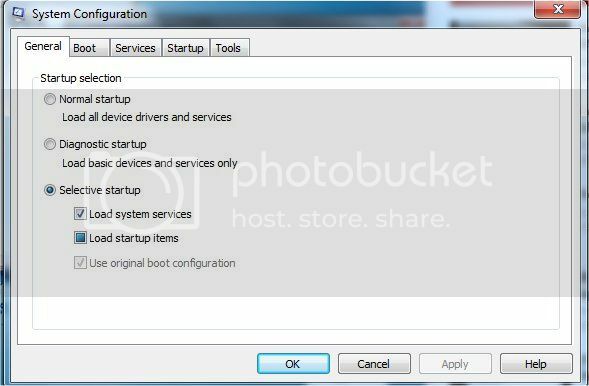 I have just logged into photobucket.com on another computer of mine (a laptop) and the pop-under has appeared. It's not a popup, its a pop-under. Are you indicating you have stopped this issue from happening? The pop unders where due to the photobucket website. This morning I had a crash report from firefox. Ok I'll report back when you send the link for the cleanup tool. Firefox has crashed two times so far at windows7 startup. If this blue screen reappears ill have to use my reflect backup from 9 weeks ago. Malewarebytes has stopped crashing since following your advice. I may go back to a image file backup. Will this webpage still be available, so I can follow its instructions? Thanks for the upload, are you having any issues with your internet connection, dump file is not really conclusive, had a look back at the event viewer logs cotained in FRST.txt. Those seem to indicate possible WLAN driver issue. Download VEW by Vino Rosso from HERE and save it to your Desktop. Product: Google Update Helper -- Error 1316. The specified account already exists. Activation context generation failed for "C:\Program Files (x86)\Canon\Solution Menu EX\MFC80U.DLL". Dependent Assembly Microsoft.VC80.MFCLOC,processorArchitecture="x86",publicKeyToken="1fc8b3b9a1e18e3b",type="win32",version="8.0.50608.0" could not be found. Please use sxstrace.exe for detailed diagnosis. The Server service terminated with the following error: The service has not been started. The Computer Browser service terminated with the following error: A system shutdown is in progress. The Server service terminated with the following error: The data is invalid. It use to be on a wired connection, via my lan port. What is the "Status" and "Startup type"
What is the current status, are there still issues/concerns remaining.. I'll have to wait and see. The blue screen error was on the 3rd October. I'll wait a few days and see what happens. It could just be a one off error? Malwarebytes has been very stable since using the software tools in this post. It use to crash a lot. There's a possibility I'll go back to a backup image file & rerun the tools in this post. Should it be on: Normal Startup? Yep Normal Startup is the default setting, Selective Startup is used when you want to stop certain programs starting/running at boot.